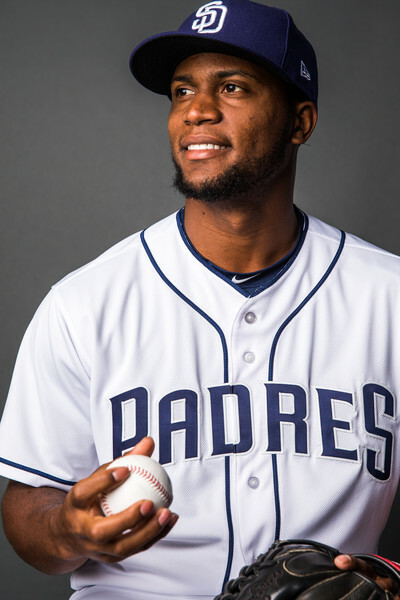 Luis Perdomo was selected by the Padres prior to the 2016 season via Rule-5 draft. The Padres selected Perdomo from the Cardinals’ farm system. A.J. Preller took a huge gamble, giving a roster spot for the 2016 season to a young pitcher who never had pitched above Low-A ball. Luis Perdomo started the 2016 season in the bullpen, and would initially be used in only limited game action. Perdomo made his first big league appearance on opening day after the game was far out of reach against the Dodgers. Perdomo got lit up the first half of the season, putting up an ERA well over 10.00. It seemed as though a roster space was being wasted on Perdomo for the future upside the young pitcher could possess. Nobody expected Perdomo to do what he did in the second half of last season. Perdomo developed a new pitch, a sinker, and was finding tremendous success with it. 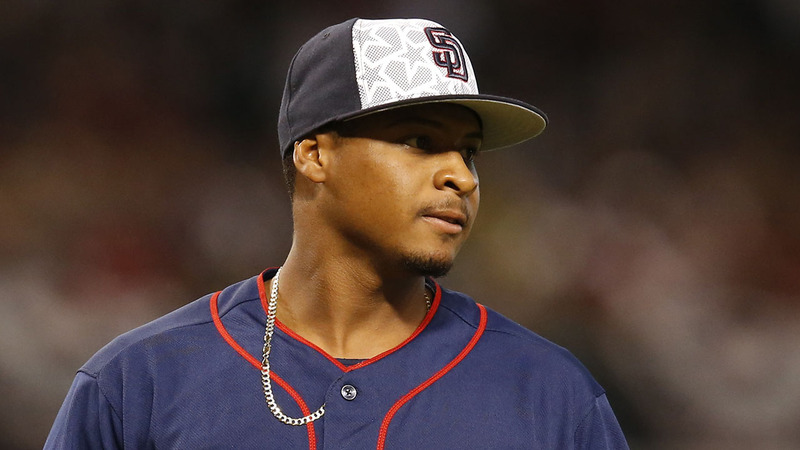 Due to injuries and trades, Luis Perdomo found himself in the Padres’ rotation. He was arguably the Padres best starting pitcher in the second half of last season, posting a 4.85 ERA over his 20 starts, striking out 81, and walking only 30. Perdomo also pitched the only complete game from a Padre pitcher last season, with a one-run, six-hit performance against the Miami Marlins on August 28th. Perdomo exceeded any expectation for a pitcher who never before pitched above Class-A. On top of Perdomo’s second half performance last year, he has arguably been the Padres’ best starter in spring training so far. It was recently announced that Perdomo would make the big league roster, and be 5th in the Padres’ rotation. This means Perdomo will pitch in the home opener against the Giants on April 7th. In my opinion, Perdomo on the mound gives the Padres a better chance to win the game compared to any of the other four starters in the rotation. The Padres announced that all three of their Rule-5 draft picks this year will crack the opening day roster. 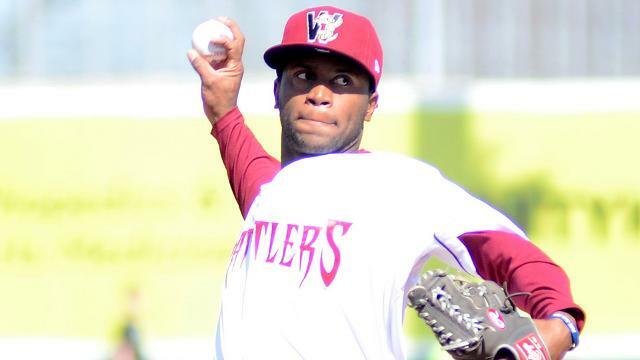 This includes RHP Miguel Diaz, who the Padres took number one overall in the Rule-5 draft, after a trade with the Twins. Diaz, like Perdomo last season, has never pitched above Single-A in his professional career. It seems as though the Padres will only be using Diaz in low-leverage situations, much like they did with Perdomo last season. The similarities are everywhere between Diaz and Perdomo. Miguel Diaz had an impressive spring, posting a 2.25 ERA over eight cactus league innings. Diaz is off to a much more impressive start than Perdomo was last year, given a very small sample size. Diaz spent 2016 in the Brewers’ organization, pitching for Single-A, posting a 3.71 ERA and a 1.18 WHIP. Luis Perdomo could be a large factor in Miguel Diaz‘s success this season. Perdomo has been in nearly an identical situation as Diaz, and could be a mentor to him throughout the season. Perdomo overcame the challenge of pitching in the big leagues way before he was fully developed. Diaz will be facing the same challenges this year, and luckily for him he will have Perdomo there to assist him in all the mental factors of the game. It could be a very beautiful thing to see. Perdomo mentoring Diaz, and the two establishing a relationship. The Padres struck gold last year with Perdomo, and could very well be in the works of mining gold again with Diaz. If Diaz can develop half the success Perdomo did in 2016, it will be a tremendous success for the Padres. The creativity of Preller adding young talent to the Padres through the Rule-5 draft is unorthodox, yet immensely impressive. The Rule-5 draft isn’t notorious for teams adding superstars, but Preller is taking advantage of the resources there and turning it into something special. Take a look at this clip from opening day where Diaz struck out Joc Pederson on a nasty two-seam fastball with movement. Expectations for Miguel Diaz in the 2017 season will be; limited use in low-leverage situations. If Diaz finds success he could potentially work his way into higher-leverage situations and be an impact player at the back of the bullpen. If the Diaz plan works, the Padres will have gained at least two legitimate pitchers for their future. It would be so special to watch Perdomo mentor Diaz and for the two to find success at the big league level in the 2017 season and beyond. The mentorship Perdomo could provide may potentially be one of the most important factors in Miguel Diaz’s success in 2017. It will be an exciting story to follow this year. Previous Is Ryan Schimpf’s Breakout Sustainable? Yesterday he put away somebody (I forget who) with 97 mph cheese. The dude had no chance. Diaz, indeed, is impressive. Score another one for the bright future of the Pads. Very true Dustin. The present may not seem bright because we will struggle, but it will be a good struggle developing all of our young guys for the future. Diaz looked like our best pitcher yesterday! He’s far more developed than Perdomo was to start the year last year so it’ll be very fun to watch!